Ask someone which file format they prefer for storing documents and it is pretty likely that their first answer will be PDF. But, ask someone which document storage format they think offers the most customizability and there is a good chance that their first answer won’t be PDF. Why is that? Why is PDF the most commonly used file storage format in the world but still not considered one of the most customizable? Could it be that PDF is very limited in what customization features it offers? The truth is, a big majority of PDF users don’t see it as anything more than a safe and reliable file storage format. With feature filled web processors like Word and Google Docs so readily available, people do not even bother trying to find out just what PDF is capable of. If we are being honest, PDF is one of the most heavily customizable file storage formats if not the most. There is a huge reason why Adobe and other researchers spend so many funds each year trying to further improve PDF. But, to fully understand the PDF’s story, you need to know how it all started. PDF is not some ordinary file storage format that got lucky and gained fame. PDF came at a very crucial time and solved some very important issues faced by the tech world at the time. Back in the 1990’s, office computers had become a common sight and word processors were ruling the digital document storage realm. There was just one small problem that affected every single computer in the world. Due to word processors’ dependence on the operating system, software and hardware they were being used on, a file created on one computer could not be transferred to another. If transferred, the file would lose its formatting and end up as a complete mess. Another issue faced by offices around the world at this point in time was that the printed version of a file looked quite different from the digital version. Meaning, every time someone hit the print button, they were pretty much taking a chance that the printout will turn out at least satisfactory. Lots of companies poured in lots of resources into R&D to find a solution to this problem but, it was a small company that no one had heard of, Adobe, that came up with a solution first. Adobe unveiled PDF, the Acrobat Reader, and the PDF file editing software at the tech industry’s biggest trade show of the time and ended up impressing everyone. From tech geeks to professional reviewers, everyone had nothing but praise for PDF. Unlike word processors and many other record keeping/ document creating software of the time, PDF did not depend on the OS, software or the hardware it was being used on. This allowed files to be transferred from one computer to another without any issues. Moreover, the files also looked exactly like how they would in printed form. PDF was officially launched in 1993 and took only a few months to take over the world. By the end of the 90’s, PDF was being used on more than 100 million computers around the world. In fact, PDF became such a big hit that it ended up making Adobe a household name. Today’s generation may think that it was the Flash Player or Photoshop that made Adobe famous, but what they don’t realize is that it was PDF that helped put Adobe on the map. PDF may have solved the file transfer and printing issues but that cannot be considered a special feature in a modern age. It only took them a few years, but all of PDF’s competition overcame these issues as well. They took away what made PDF different and now it wasn’t special anymore. The team behind PDF had already seen this coming and they planned ahead. 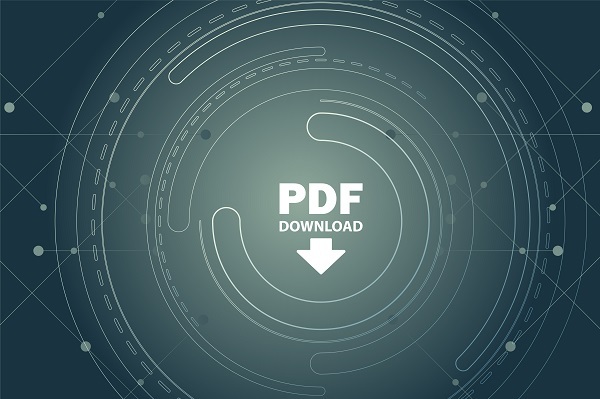 The PDF team at Adobe had been working tirelessly on adding new features that would help PDF users work most productively and enable them to make files exactly how they want to. This is the thinking that enabled Adobe to stay two steps ahead of the competition. This is what helped make PDF the most commonly used file format in the world today. And this is also why, even today, PDF is ahead of its competition. As discussed, being able to transfer files without any issues or producing a printout that looks the exact copy of the digital version can hardly be considered a special feature anymore. Over the years, Adobe has been constantly updating and improving PDF to stay ahead of its rivals. Word processors may have solved the file transfer issue but the truth is, they still depend on the operating system they are being used on. File transfer from a Windows computer to another windows computer or, from a Mac to another Mac may turn out fine, but file transfers between two radically different operating software can still create some issues. On the other hand, right from the development stages, PDF was programmed to work completely independently of the operating software it was being used in. This enables PDF files to work flawlessly across all sorts of computers as well as operating software. Pretty much everyone knows PDFs are one of the safest file storage formats but what many don’t realize is the level of security that the format provides. PDFs allow the file creator to set levels of access for each file user. Moreover, file creators can also encrypt the file which bars anyone else from being able to edit the file. Above that, users also have the option to set a password on their PDF file in order to keep information secure. Lastly, for a digital document to be admissible in court it must be created in a file storage format that keeps an electronic signature of all devices that access the file. This is a requirement that PDF meets and that is why it is the most preferred file format in legal procedures as well. PDF was released as an open standard by PDF back in 2008. What that means is that Adobe doesn’t take any royalties for all PDF-related patents required for PDF file creation, editing, distribution, etc. Since then, almost all word processors have allowed users to save their files as a PDF. And, if there’s a need for any editing, PDFs can be easily edited using the Adobe Acrobat. Another way for editing PDF files would be to convert PDF files using a free PDF to JPG converter or any other suitable converter and then convert the file back to PDF after editing. 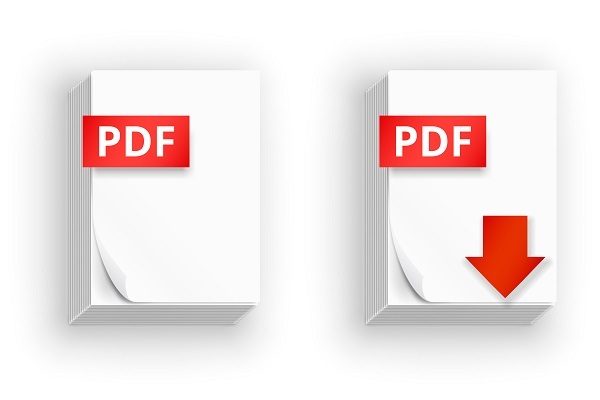 Another feature that sets PDF apart is its ability to compress files without losing any quality. And, to give you an idea of just how effective its file compression is, here’s an example; a 50MB picture saved in BMP, which is a lossless file format, can be compressed all the way down to 3-4MB! Due to PDF’s ability to work independently, PDF files can be accessed from all sorts of devices, including; smartphones, tablets, smartwatches, e-readers, etc. For word processor files to work on different devices, a dedicated application has to be created that can read the file stored in that particular word processor’s file format. One might object that no one creates presentations in Word, that’s what PowerPoint is for. Well, allow us to give you the truth; PowerPoint is outdated. From the corny, 90’s inspired title designs and slideshow effects to its inability to play nice with multimedia, PowerPoint presentations are a nice way to embarrass yourself in front of everyone. A presentation created in PDF, on the other hand, can handle everything. From videos and audios to charts and hyperlinks, PDF can handle all sorts of rich media while keeping the formal and professional look of a document. Sometimes, one just doesn’t have the time or the energy to write down everything written on the whiteboard. It’s in time like these when you can just snap a picture of the whiteboard and be done with it. But, to be able to capture everything written on the board in great detail, the picture has to be of really high quality. The problem is that high quality pictures can get really heavy. Thankfully, you can convert all those space consuming pictures into PDF so that you don’t lose any picture quality but still save a lot of space on your phone. With e-readers on the rise, this is definitely great news for all the readers among us. All new Kindle devices come preprogrammed to automatically convert PDF files into a format that can be viewed on a Kindle. Today’s art and craft houses sell a lot of designs and sewing patterns as well. To purchase a product, all the customer needs to do is visit the company’s website, purchase the product and then download the design or the sewing pattern. And, due to PDF’s ability to compress data without losing quality, almost all art and craft houses make their designs available in the PDF format. Today, all the best PDF editing software allow their users to save files directly to their cloud storage account. And the procedure is pretty straightforward too; all you need to do is choose the right option when saving the file. Say goodbye to those days when you had to save the PDF file in your computer first and then upload it later on. Thanks to the work of some non-profit organizations, you can find many different paper templates online that are absolutely free to download and use. From ruled and graph papers to business cards and music sheets, there are quite a few paper templates that you can find online. With hackers stealing millions of accounts in every successful attack, it’s difficult not to fear for your account’s safety. And if you are looking for a way to save all your Pinterest pins, PDF can help. All you need to do is to visit one board at a time and press Ctrl + P. This should open up the printing box. Now, adjust the printing option and make sure to select “Print to PDF” and then “All Pages”. Save and repeat for all the pins you want to save. If you wish to save some Wikipedia articles that you would want to read later on, just visit the article and in the navigation bar on the left, go to the print/export section. Now, click on the Download as PDF option to save the article as a PDF file on your computer. If you wish to save your Instagram photos as a PDF photo album then all you need to do is visit an Instagram to PDF conversion site. From there, log into your Instagram account, choose the photos you want to add to the album, organize photos, finalize the album’s look and hit download! From a businessperson to an avid reader, we made sure to add at least one tip to help every kind of PDF user get more from the format. But remember, these are only some of the most notable PDF uses most people don’t know about. There are many more out there for you to find!